Early June saw me heading back to Scotland to work on an undergraduate university field course for a week. 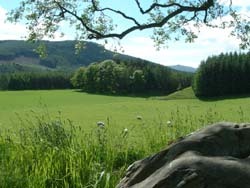 The usual location for this is the Field Studies Council's Kindrogan Field Centre near Enochdhu in picturesque Strathardle, Perthshire. 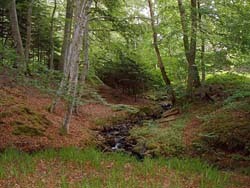 The field centre is set in an old Victorian estate with a small area of mixed woodland along the banks of the River Ardle at the foot of Kindrogan Hill, largely cloaked in spruce forestry plantation with smaller areas of larch. 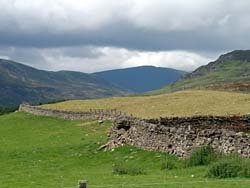 Strathardle is dominated by pastoral farmland in the glen and moorland on the higher ground. Further to the west lies Glen Brerachan holding some nice heather moorland and small patches of open birch woodland. This trip report details the birds found mainly around the field centre. Glen Brerachan looks like it would be worth some exploration with raptors, grouse and upland birds a probability for those with more time. The format of this report departs from my usual diary style of reporting to quickly summarising the details, species-by-species. Also noted: Red Deer, Roe Deer, Fallow Deer, Red Squirrel, Brown Hare, Brown Rabbit, Hedgehog, Pipistrelle Bat & Daubenton's Bat. Two pairs on Straloch Loch. Singles along the River Ardle. 25 flew NW over Enochdhu 9/6. Pr + b/3 and a single on Straloch Loch. Two pairs on Straloch Loch, 10/6. A few pairs along the River Ardle, Straloch Loch. Pr on lochan (curling pond) 8/6. Pr heading over River Ardle on several mornings. Female at possible nest site in Glen Brerachan, 7/6. Single observed from the train near Gleneagles on the trip up. Several pairs Strathardle & Glen Brerachan. Once on front lawn of field centre. 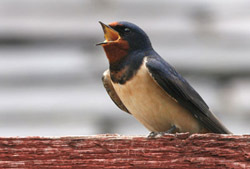 Pair nesting Ceangline; birds noted at Kindrogan Field Centre & Enochdhu. 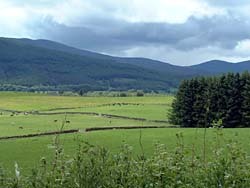 Many pairs along the River Ardle & Brerachan Water. Two birds flew NW over Strathardle on 8/6 at 0545h. Roding birds along the main drive between Enochdhu & Kindrogan. Several displaying birds Strathardle & Glen Brerachan. Several pairs Strathardle & Glen Brerachan. Singles & pairs over Strathardle. Seven over Enochdhu 9/6. Singles & pairs over Strathardle & Glen Brerachan. 2nd-S south over Strathardle 3/6. Noted around Enochdhu & Kirkmichael. 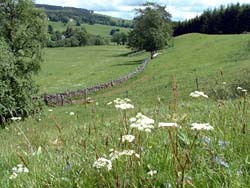 Singing males at Kindrogan, Enochdu-Kirkmichael footpath, and Glen Brerachan (2-3). Pair breeding in box in beech wood at field centre. Males heard calling from Kindrogan Hill, the lochan (curling pond) & Enochdhu. Displaying birds in Glen Brerachan and on Ben Vrackie. 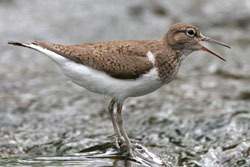 A few birds noted along the River Ardle & Brerachan Water. Three pairs nesting at field centre. 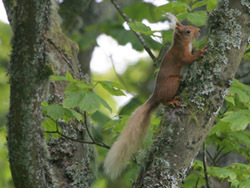 Pairs breeding around habitations throughout Strathardle & Glen Brerachan. Displaying birds in birch woodland patches in Strathardle & Glen Brerachan. Displaying birds in Glen Brerachan. 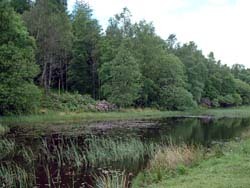 Pairs on River Ardle at East Lodge & Enochdhu. Fairly common. Pr +b/2 at Kindrogan Field Centre. 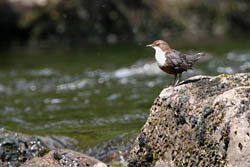 Pairs noted on the River Ardle at Enochdhu & Brerachan Water. Scarce. Only three singing males heard at Straloch, Enochdhu & Glen Brerachan. Birch woodland patches in Strathardle & Glen Brerachan. Pr + b/2, Ben Vrackie, Pitlochry. 2prs, eastern end of Glen Brerachan. Common on Ben Vrackie, Pitlochry. Female near summit of Ben Vrackie, Pitlochry, 6/6. Only one bird heard singing at Enochdhu. Scarce this year. Single bird heard at the field centre. Widespread but less common than last year. Very common in coniferous patches of all sizes. Fairly common throughout Strathardle & Glen Brerachan, even in small conifer patches. Pair observed at lochan (curling pond) 6/6, 0520h. Noted at Kirkmichael village only. c6 pairs Kindrogan Field Centre. Fairly common in wider area. Several birds noted Ben Vrackie, Glen Brerachan and on Kindrogan Hill. A few nesting around habitations on Glen Brerachan. Fairly common at Kirkmichael. Only noted at Kirkmichael & Pitlochry. 6 on edge of larch wood at lochan/curling pool 5/6. 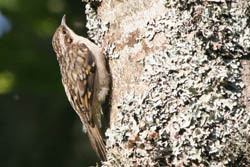 Birds regularly heard in forestry around Kindrogan Hill. 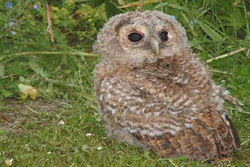 Two pairs around walled garden, 3 birds regular on lawn, singles at Davan & West Balnald. 2 singing males in juncus rush marsh, Glen Brerachan.